Orthovit Oil is a massage oil indicated in Spondylitis, Morning stiffness/Backache, Finger Joint Pain, Osteoarthritis, Shoulder sprain & strain & get relief from pain, control pain & influence backache, strain & sprain, Muscles cramping, Joint pain. Orthovit Oil has longer duration of action, thus keep pain soothing mobilization..
60 ml. Bottle with Cap & dropper. 100% Natural with long duration of action. No side-effects. REPL is licensed manufacturer and exporter of Ayurvedic and homoeopathic medicines. ORTHOVIT ® Oil is sole registered brand of REPL. We are GMP, FSSAI, PCI DSS and ISO certified company. This can help you make sure the REPL is authentic and not selling unregulated product. Purchase the ORTHOVIT ® directly on our ecommerce website of www.repldradvice.com or authorised seller to avoid counterfeits. If buying online on different websites other than us, check the authority certificate of seller issued by us to sell online. This can help you in getting original product. Learn how to buy original ORTHOVIT ® safely online. Make sure that when you buy ORTHOVIT ® Oil online, you get real ORTHOVIT ® Oil. Many of the sites that claim to sell ORTHOVIT ® Oil online are actually selling potentially dangerous counterfeits. ORTHOVIT ® Oil is 100% safe and poses no risk to your health. We use only the highest quality natural herbs & oil in producing this ORTHOVIT ® Oil. ORTHOVIT ® Oil is 100% Ayurvedic with no side effects but should be used after consulting with registered physician. ORTHOVIT ® Oil should be stored in a cool and dry place. 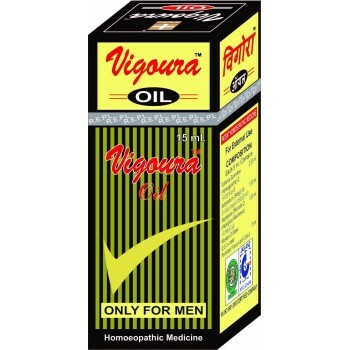 Vigoura ™ oil is massage oil for men, used to improve and enhance erection, help to stimulate libido and increase male vigour.